“Stretching yourself beyond the boundaries of your current self requires carefully choosing and then pursuing ideals: ideals that are up there, above you, superior to you – and that you cant always be sure you will reach…. if you don’t reach for them, it is certain that you will never feel that your life has meaning.” ~ Dr Norman Doidge. The New Year is about bringing in the new. In order to do this you have to make space by clearing out the old. It is that simple. We can spend time on making lists, setting new goals, starting new projects and talking about what we want to accomplish in 2019, but there is no room for any of this new stuff to happen unless we declutter the past. This clean up is not just about a 1950’s style of cleaning out the cupboards and making some charitable donations of stuff you don’t use anymore. Its about a physical, mental and emotional clean up. Most people manage a start on the physical; Dry January, Veganuary, and shiny new gym memberships, I note even my regular Yoga class swelled from 15 to 52 in 5 short days! Suffice to say where people generally come unstuck is on the mental and emotional clean up. Other than to announce in a strop that they are never spending Christmas with their in-laws again, or taking it a step further and filing for divorce on the 1st Monday of January, few people stop to consider that it is the mental and emotional clean up that will determine the success or failure of all future outcomes. Furthermore the areas most in need of addressing are usually staring us right in the face and the holiday season will have put us in close proximity with whatever part of our life is not working well. To be fair, to live a successful life, one in which you are happy in your chosen career, your relationship with your significant other is peaceful and harmonious, your children (if you have them) are flourishing, and your relationships with your family are sound and secure, is not always going to be a straight smooth road. Life can be unpredictable, challenging and sometimes feel rather joyless. But on the whole it should be an uplifting and inspiring experience in which you feel secure and supported. If it is not, then we are fortunate to live in a time where the support mechanisms to address problems are readily available. In Columbus’s time, the world was believed to be flat, and other beliefs of that time reinforced that idea. Today, if anyone were to seriously try to suggest that the world was flat, very few people would consider it a possibility. Why? Because we have learnt so much since that time and that old idea is out of keeping with the knowledge we have today. The same is true of human beings. For years we were told that we were limited as human beings. We were categorised, labelled and then given a box in which to fit ourselves. As a result it became the accepted norm to fit into boxes rather than to have a fulfilling life. Thankfully we are increasingly becoming aware that we have limited ourselves by our thoughts, beliefs and traditions. We know that everything that we have learnt about the way the world works, from love, to relationships, to career success was shaped by what we experienced in our family of origin; our relationships with our mother, father and siblings influences how we relate to our partners and work colleagues. This is also where our ideas, beliefs and core values are formed. So when things are not going so well in life, often our own patterns of behaviour are tripping us up. This is the first place to look to make changes. This is where mental and emotional clean up takes place. If you imagine your life to be like the roof of your house, after some time the roof acquires many layers as it is fixed and patched up with layers of material time after time. Eventually you come to a point where adding a new layer will create more problems than it would solve. You can layer up your life with the same old beliefs, judgements, intentions and habits, or you clean up the mental and emotional clutter and start over. When we clean up we create space for new perspectives to emerge. We can grasp a clear sense of how often we repeat certain patterns in our life, and where in our life the patterns create stress, pressure or a deficiency. Through the systemic approach it is possible to quickly and simply map these patterns and then use the wisdom of our felt senses to unravel what lies behind them. Patterns are nearly always serving some purpose, so in order to change them it is important to understand who or what the pattern of behaviour is loyal to. Often our patterns of behaviour are serving a mode of survival that we have adopted to compensate or accommodate for some perceived lack. In order to understand this better it is helpful to think of yourself as a human being with a soul. This is what I call it. Other people call it life force, spirit and so on. To be clear, this is distinct from any religious or scientific interpretations of what a soul may or may not be. If you were to go online you could easily and lawfully purchase and have delivered to your home all the chemical ingredients required to make up a human being. At most the cost would be around £15.95. Yet despite this fact to my knowledge no human has made a human being from these ingredients. The soul is the source of life that is central to each and everyone of us. And so the magical ingredient to make life successful is to get what we want, to get what we want requires congruence, all parts must be in agreement. Much like love, if the soul is not in agreement it does not matter how handsome the other being is, love will not be on the cards. It’s that simple. To create congruence there must be an alignment in desire, beliefs and values. If you are single it is not because of a lack of suitable partners. If you are not promoted it is not because of your gender or skin colour. To get what we want in life, it is essential to understand what we need to do to support ourselves to get there. Cleaning up requires the courage to let go of the past, to complete and tie up loose ends. It may require that you let go of some old fantasies and dreams, it may require that you grow up. Cleaning up is a big job and it can be painful, it’s why so many people avoid it. The most challenging skill to learn in life is to live well. It’s easy to excel in one area. Look closely at the people who you think you envy, scratch below the surface of a woman who is very successful in her career and you will often find that there is something missing elsewhere. Look deeply into the eyes of the people in the boardroom with a 6 figure salary: is there a brightness in their eyes, are they centred, grounded and calm? There are many aspects and layers to clean up on the mental and emotional level and we are all dealing with it to a greater or lesser degree. 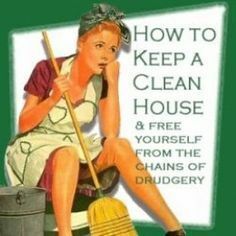 It is 2019, and my message this year is: clean it up, put your house in order. Take responsibility for the part you play in making the world a better place for us all to live in. History is changed not by one single significant change, it is changed by all the seemingly insignificant changes that every individual is part of.